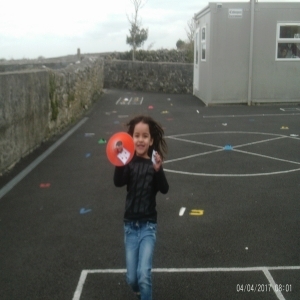 Today we got our Easter Holidays. 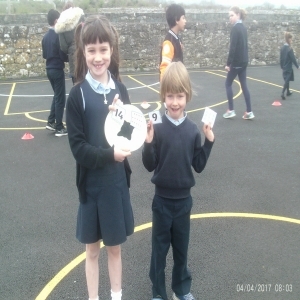 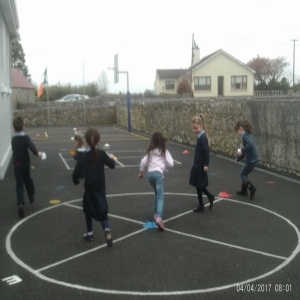 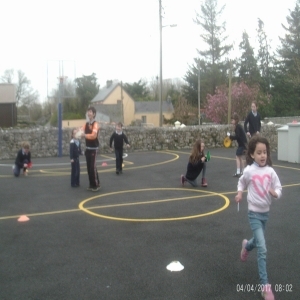 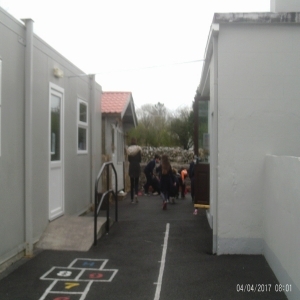 The whole school took part in an Easter egg/maths hunt. 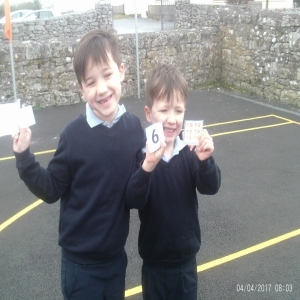 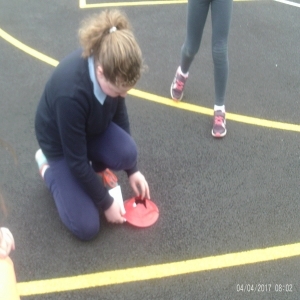 The children each received a maths problem and in order to get the Easter treats they had to find the answer to their maths question first. 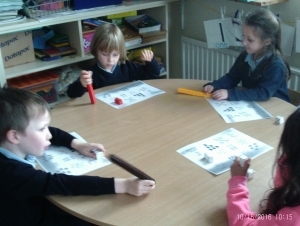 All the children got involved and had great fun looking for their maths answers and getting their Easter treats as a reward. 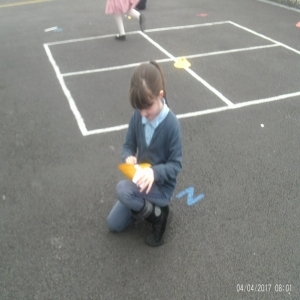 The children have been exploring and investigating 2D-Shapes in their immediate environments. 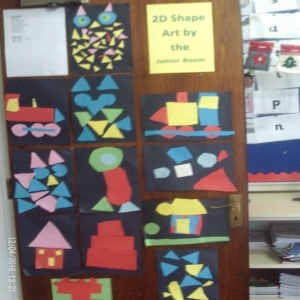 The children had lots of fun designing and creating their own 2D pictures. 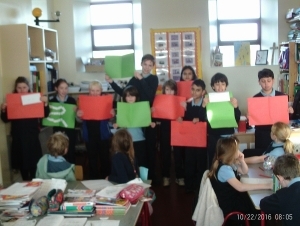 The children really enjoyed maths week. 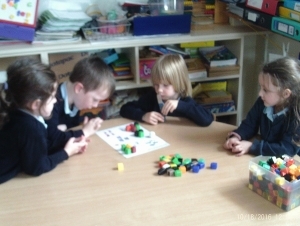 They all worked together and individually to create maths games. 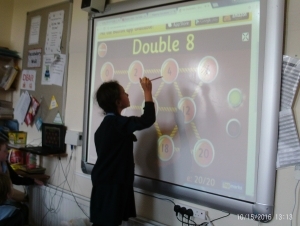 The children also used ICT to help improve their maths skills. 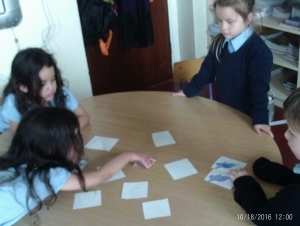 The Junior room have been exploring different materials and sorting and classifying them according to how they feel and look i.e. 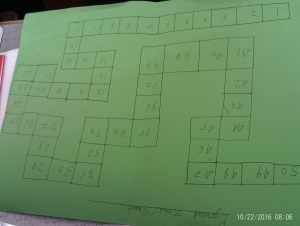 rough, smooth. 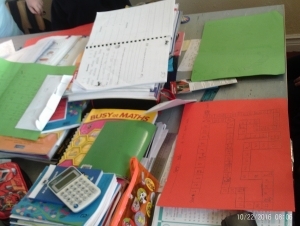 Maths Week 12th-16th of October. 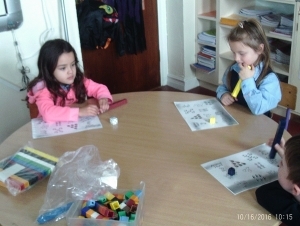 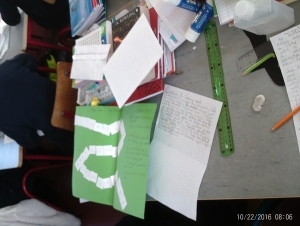 All the children participated in a Maths Trail today. 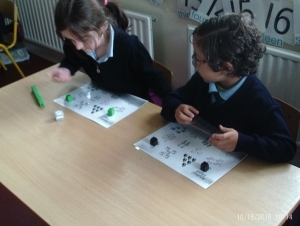 The children had to estimate, measure, count, recognise vertical and horizontal lines and use many more mathematical skills.